April 23, 2012, Adelaide, South Australia: Triathlon Australia announced today that Fuse Multisport Racing Team athletes Ella Holmes of Evanston Park, Sam Tebeck of Williamstown, and Ben Tripodi of Flagstaff Hills had secured spots in the Australian team to compete in the 2012 Triathlon AG World Championships. The event, to be held in Auckland in October, will be held in conjunction with the grand final of the 2012 ITU World Championship Series. Holmes’s return to the Australian team comes after an 18-month lay off to complete university commitments and winning the 2009 World U19AG Championships. For Tebeck and Tripodi their selection is a first, a remarkable achievement for Tebeck in his first full season of competition. 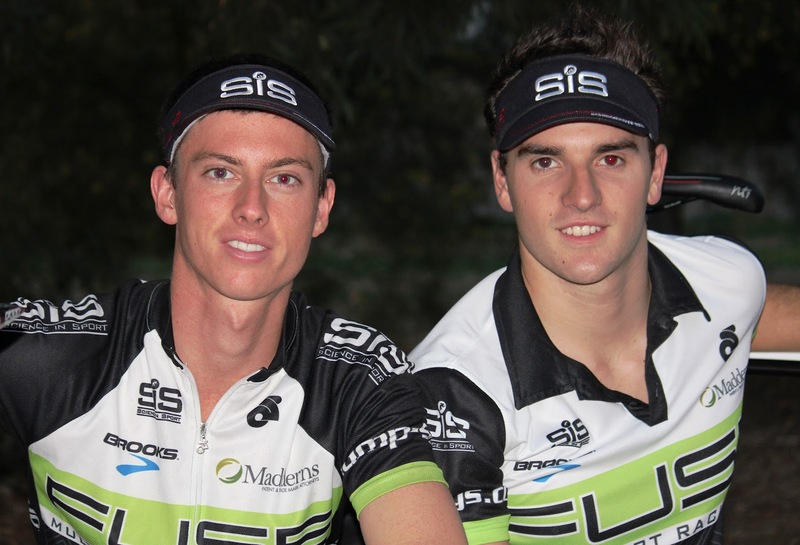 Holmes and Tebeck were the best placed South Australian athletes in the competitive AG 20-24 and U19 categories respectively, with Holmes qualifying 3rd in the AG 20-24 category. The announcement capped off a stellar inaugural season for the Fuse Multisport Racing Team with Tebeck earning his spot in the Australian team after an outstanding performance in the New South Wales round of the national selection qualification series held last weekend. The New South Wales event was the final event in a race program in which the team competed in qualification events in Canberra, Mooloolaba, Geelong and Sydney. Tripodi said that he was excited about the opportunity to represent Australia in a World Championship event. “Making the team for the World Championships was the main objective we set last year and to achieve that objective is pretty motivating”, he said. 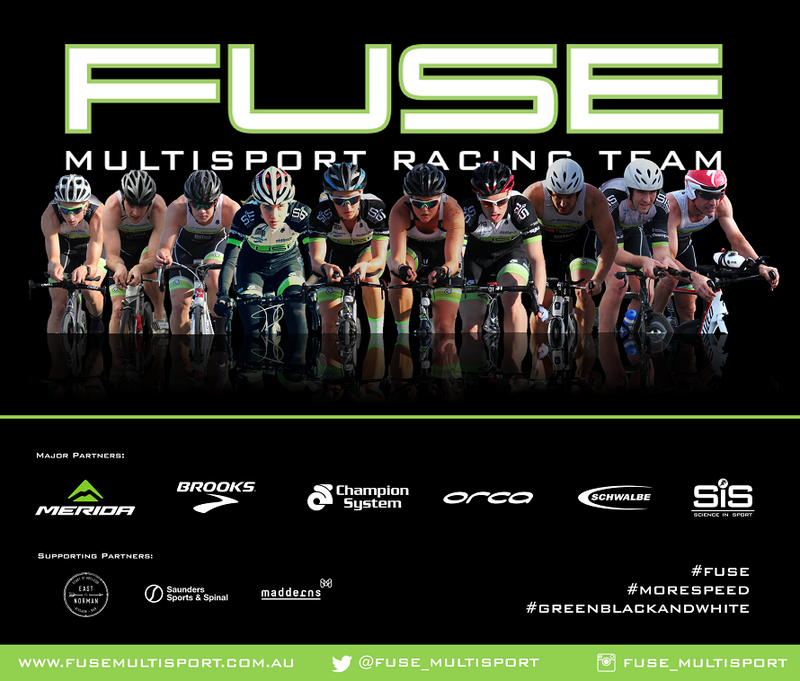 Fuse Multisport Racing Team coach Steve O’Brien said that the team’s focus would now shift to preparing for the rigors of the Auckland course and the likely conditions. “Ben, Ella, and Sam have all been very clear that this season was all about preparing for the World Championships”, he said. “We learnt a lot this year, and now that they have made the Australian team we can work on a few areas that we didn’t get to during the season”. “It’s going to be a busy winter”, he said. The team is sponsored by SiS (Australia), Brooks Running, Champ-Sys and Madderns Patent and Trade Marks Attorneys.